Celebrities may seem like they live distant, beautiful, verified lives on Twitter, but they get @-replies just like the rest of us scum. So think twice before making jokes about how many men a celebrity has slept with — especially if the celebrity is Amy Schumer. Because Amy Schumer is always watching. 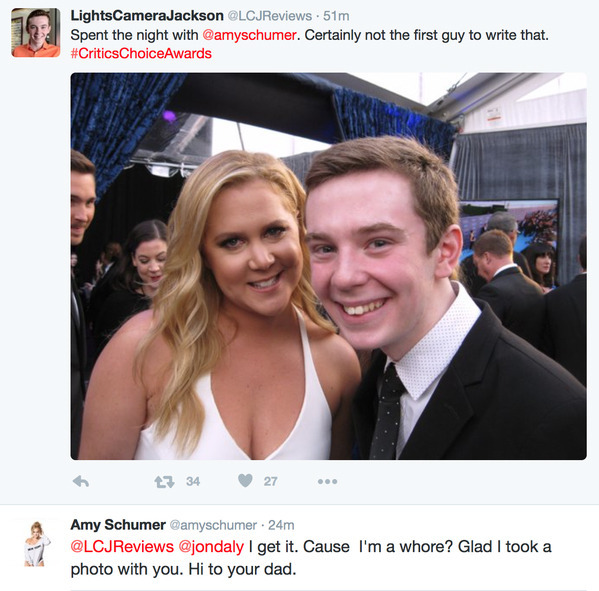 One user, Lights Camera Jackson, took a photo with Amy Schumer at the Critics’ Choice Awards, writing “spent the night with @amyschumer. 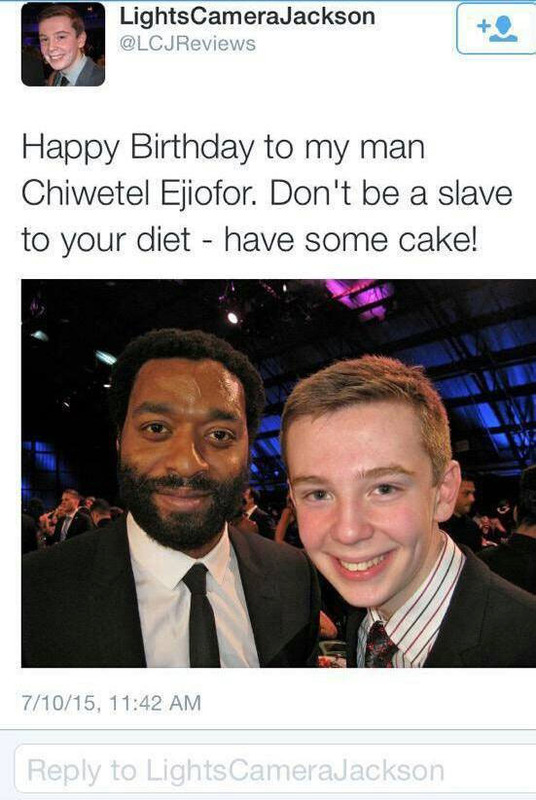 Certainly not the first guy to write that” (he has since taken down the photo, though you can see a screenshot below). The joke plays into an identity that Schumer toys with as a comedian, but it is also certainly insulting to Schumer as a person. And guess what? 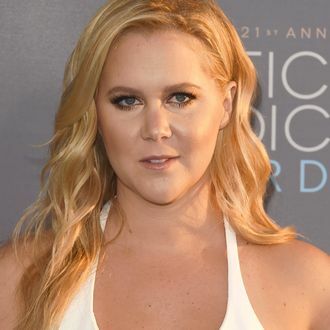 Amy Schumer, all-seeing eye, was watching. She called out the user, writing “I get it. Cause I’m a whore? Glad I took a photo with you. Hi to your dad.” The user has since taken down his tweet and apologized to Schumer and his followers. Let this be a warning. If you @-tag Amy Schumer, use your best material.